Blood is a necessity. Without it, humans could not survive, and this is why carrying out blood transfusions is sometimes necessary. Unfortunately, transfusions come with many risks. As a result, to carry out transfusions safely requires extensive training for nurses, doctors and other hospital personnel. 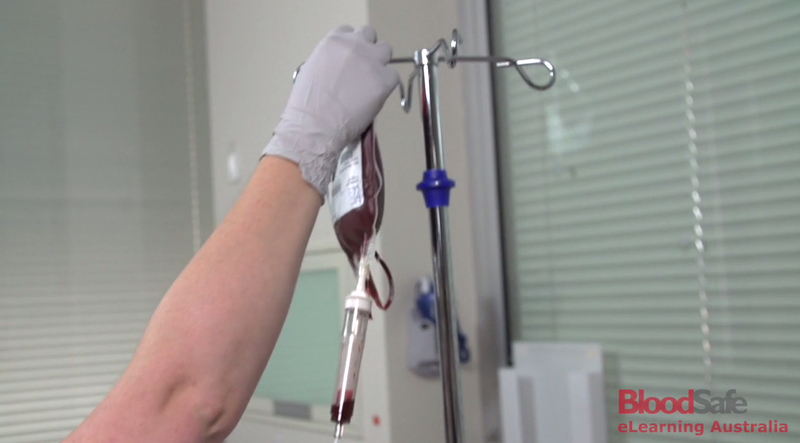 Australia’s BloodSafe eLearning initiative was established nearly a decade ago to help train medical personnel and reduce the risks related to transfusions. Over the course of its development, the program has proven highly effective in reducing transfusion risks. The program has also gained a reputation for modeling exemplary practices in eLearning. Most recently, BloodSafe was a runner-up for an International E-Learning Award. “The reality is that despite efforts to screen blood supplies, there are risks,” says David Peterson of BloodSafe. However, many risks, Peterson emphasizes, occur due to human errors and therefore, could be prevented. In 2015-16, over 600,000 units of blood were transfused in Australia alone but not without problems. For example, nurses and doctors have been known to retrieve a unit of blood that is incompatible with the patient’s blood type. When this happens, the risk is mortality. However, Peterson notes that even transfusions that are administered correctly can cause problems. Transfusions lead to longer hospital stays, higher rates of infection, and higher mortality rates. This is not to say that transfusions are not critical–in some instances, they are–but they do come with notable risks and should be avoided if at all possible. One way to reduce if not eliminate errors is to ensure that patients have enough blood to avoid a transfusions in the first place. Another strategy is to take smaller amounts of blood when taking samples for testing. But this requires increased education of nurses, doctors, and anyone else who is involved in working with patients. All the courses are learner directed and not facilitated. Hospitals adopt the courses for two reasons: to reduce risks and address compliance demands. The focus is on case studies and all the courses have some interactive element. Transfusion practice courses include Clinical Transfusion Practice; Collecting Blood Specimens; and Transporting Blood. Patient Blood Management courses include the following: Patient Blood Management (PBM); Critical Bleeding; Perioperative; Critical Care; Postpartum Haemorrhage (PPH); and Iron Deficiency Anaemia (IDA). Finally, BloodSafe eLearning offers a series of specialized courses to help practitioners deal with transfusions in cancer, cardiac, chronic kidney disease, chronic transfusion and gastrointestinal situations. The study further concludes that the success of the program has had much to do with the fact that the program effectively responds to the demographics specific needs: “For an e-learning package to be readily adopted by time poor health professionals, they need to be confident that it is evidence-based, current and relevant to their practice.” With close to 15,000 participants, there is a strong indication that Australian nurses, doctors and nursing and medical students agree that BloodSafe is an evidence-based, current and relevant way to address potentially life-threatening blood transfusion errors.